Reviews from Puerto Banus and Fuengirola. Rachel Jones stayed in a private rented villa solidad in the resort of Puerto Banus . She arrived in Malaga from Exeter 6-10-18 with Flybe but her favourite airline is British Airways. Staying for seven nights Rachels party consisted of 7 passengers. She was collected with Malaga Airport Transfers by our driver Simon and was charged 170€ for a return transfer. 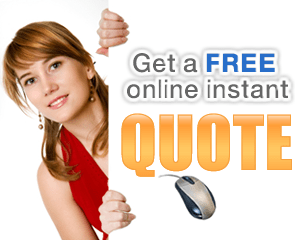 You can pay on arrival and we also offer free child seats. Rachel’s answers to eight questions were three fives, and five fours, she mainly liked the pool which is suitable for children and the nightlife. The walk to the beach took fifteen minutes and gave the beach a four, she also stated that there was no need to hire a car and she would book again. Rachel’s favourite restaurant during her stay was La Sala Puerto Banus. La Sala Banus is a restaurant & bar in Marbella area that offers live music from renowned musicians, singers and DJs seven days a week and on Sundays they offer live music all day. For evening dining or late night drinking they have music to compliment all moods and tastes. Don’t miss their weekly special Tribute acts from Michael Bublé and Barry White to the legendary Rat Pack and The Jersey Boys. 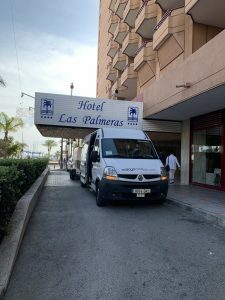 Johanna Moiso stayed at the Las Palmeras Hotel in Fuengirola for nine nights and arrived on the 25/10/18. She arrived at Malaga Airport from Helsinki and was met by driver Nigel from Malaga Airport Transfers and the cost of fare was 96€ return. You can pay on arrival and we also offer free child seats. Johannas answers to eight questions were three fives, and five fours she especially liked the pool and that there was lots of things to do in the daytime. she also added that there was no need to rent a car and enjoyed her holiday very much. Johannas favourite restaurant in Fuengirola was Pepperoni. Restaurant Pepperoni a family owned and operated restaurant situated on the sea front in Fuengirola. Pepperoni have an extensive menu ranging from pizzas, pasta, steaks fish and chicken dishes, and also beers wines and spirits.